I am a critical theorist and Open Marxist. My research focuses on the global politics of hope: https://www.bath.ac.uk/case-studies/carving-out-new-politics-of-hope-for-2019/. I was born in Buenos Aires where I studied Politics (University of Buenos Aires), and an MA and a PhD degree from Sociology (University of Warwick). I was trade union rep in the public sector and I also studied architecture and drama for many years until the degree of politics was re-opened with the return of the democratic government in Argentina. I taught political sociology and sociology of work in Department of Sociology, at Warwick University. also taught Politics at the University of Buenos Aires. At Bath, I teach classical theory and contemporary political sociology, critical/Marxist theory, social movements and social justice, de-colonial theory and the politics of the global south, especially Latin America, social justice and sustainability. My method of enquiry combines a critique of political economy with the philosophy of hope, politics, critical feminism, political sociology and decolonial approaches. My research is transdisciplinary and international. I am unhappy with conventional theories that are failing societies to flourish. I have published five books which have opened new interdisciplinary areas of critical research such as the radical politics of hope and the prefigurative critique of political economy. I am dedicated to theoretical innovation that has significant policy implications. At the centre of my research is the analysis of the contradictory processes of societal transformation led by social, labour, indigenous, urban and rural movements mainly in the Global South but not exclusively. I explore how their ‘concrete utopias’, i.e. the innovative forms of production and social reproduction that they are bringing about contest patriarchal, colonial and capitalist powers, how they are ‘translated’ by the state into the law and policy, and how they can move beyond the limits imposed to human flourishing by such powers, at a time when alternatives are urgently needed. 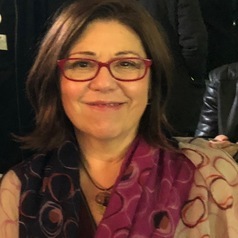 I am founder and convenor of the international research network 'Women on the Verge', https://www.anaceciliadinerstein.com/women-on-the-verge-1/. I published extensively on Argentine and Latin American politics, autonomy, subjectivity, labour, social and indigenous movements, emancipatory struggles and the politics of policy. My main publications include 'The Labour Debate' (2002, co-edited with Mike Neary), translated into Turkish (2006) and Spanish (2009), 'La Ruta de los Piqueteros. Luchas y Legados' (2010), 'The Politics of Autonomy in Latin America: The Art of Organising Hope' (2015) and the edited collection 'Social Sciences for An Other Politics: Women Theorising without Parachutes' (Palgrave Macmillan, 2016). I have two forthcoming books: 'A world beyond work? Automation, basic income and bad utopias' (Emerald, 2019, co-authored with F.H.Pitts) and 'From probability to possibility: too s for a journey', Kairos-PM, 2020) (co-authored with Sarah Amsler).